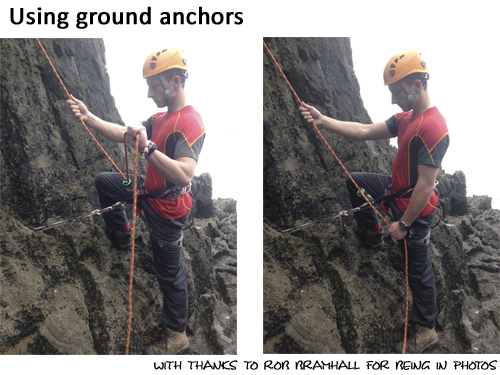 The rigging for bottom rope set-ups for group climbing is not that different from setting up a releasable abseil, top rope, or even a belay at the top of a lead climb – they all need bombproof protection and equalised anchors. 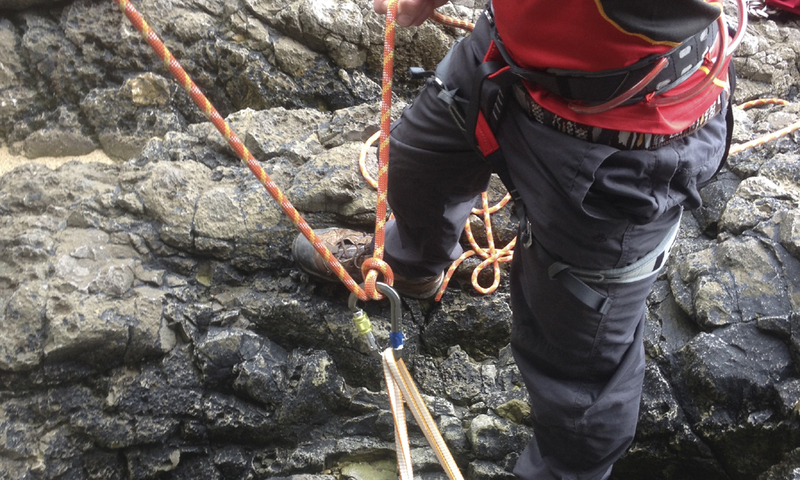 It’s possible to equalise with slings, though it may be more efficient (and common practice) to use a low stretch rigging rope, as it will help to reduce abrasion as the rope runs over the edge of the crag. The majority of groups I’ve seen using a bottom rope system tend to use bell ringing as their belay method of choice. They also tend to use a member of the group as the belayer, standing with their back to the crag, hauling down on the rope, with other group members pulling any slack rope through the belay device. 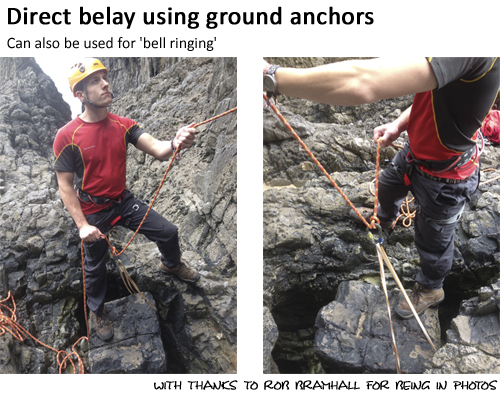 A good alternative method of bell ringing is by using ground anchors, which is far more comfortable for the belayer. Peer belaying is another method and one that allows you to coach the normal 5 point (or V Knee) method of belaying. 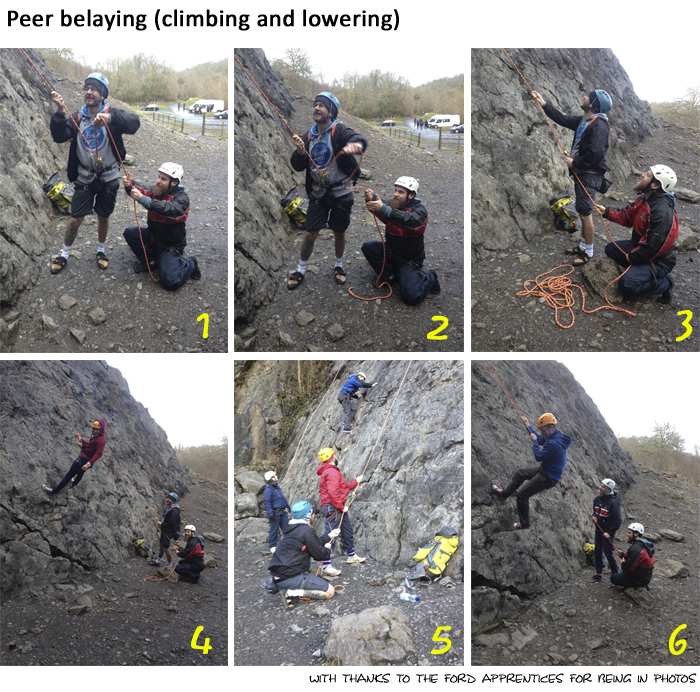 If you haven’t tried peer belaying with your groups have a go; it’s a good alternative to bell ringing.